Whether it's for a birthday party or wedding, the woodies stamp featuring 'you're invited' text will add a touch of shabby chic to the invitation. 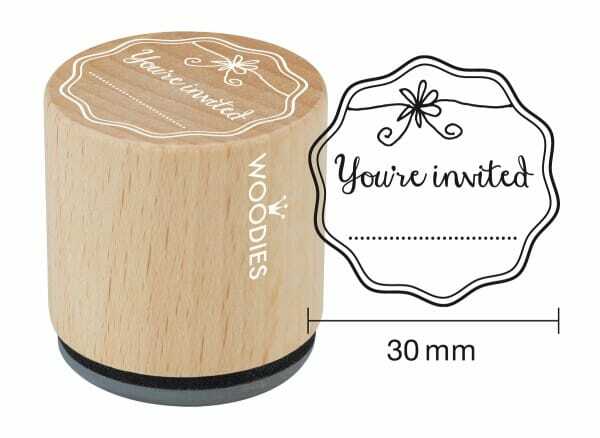 Made from beech wood and 100% natural rubber, the dainty 30mm stamp gives each invitation a more elegant finish. Ideal for creative professionals and amateurs alike, the woodies stamp will bring a smile to each recipient. Customer evaluation for "Woodies stamp You're invited"